This book is now available here where you can receive an autographed copy. Just use the convenient PayPal button. It is also available at Crystal Heart Bookstore in Beaverton, Barnesandnoble.com, Amazon.com, Kindle.com, Smashwords.com and Appleibooks, Kobo, Gardners, and Nook Book. 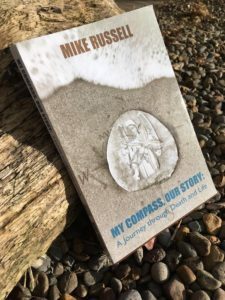 It is a very heartfelt book written during a two year period after the death of Mike’s wife. It takes the reader on a journey of one person’s grief process. It is full of inspired thought, poetry and sage advice for those that are currently in grief or are working through their own process.